Use this quick search to search for any name( first then last ) in both cemeteries. If the name exists in the cemeteries it will be shown below with links provided to highlight the plot in yellow on the map. Instructions for using this site are provided if you choose a specific cemetery and click "Help". 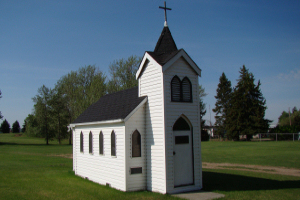 In 1895 the first Lutheran church of the Missouri Synod in Western Canada was created on this site. Reverend Emil Eberhardt was the first pastor of this, the first church in the Stony Plain area. 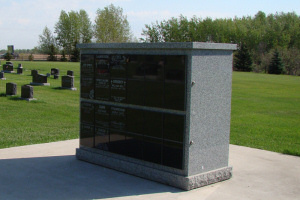 The 79 avenue cemetery is located on the South East corner of Stony Plain near the intersection of 79 ave and Golf Course Road. This cemetery, founded in 1910, is located south west of Stony Plain on highway 627( Township 520 ) at Range Road 14. Inga Cemetery can be reached by traveling south from Stony Plain on the Fifth Meridian then west on highway 627 to Range Road 14. The cemetery is up off the highway on a hill on the north side of the highway. Please note: There is another Inga cemetery on highway 627 slightly east of the St Matthew Lutheran Church Inga Cemetery, which we do not manage. The St Matthew Lutheran Inga cemetery is about 500 meters further west.